These babies are good. Really good. 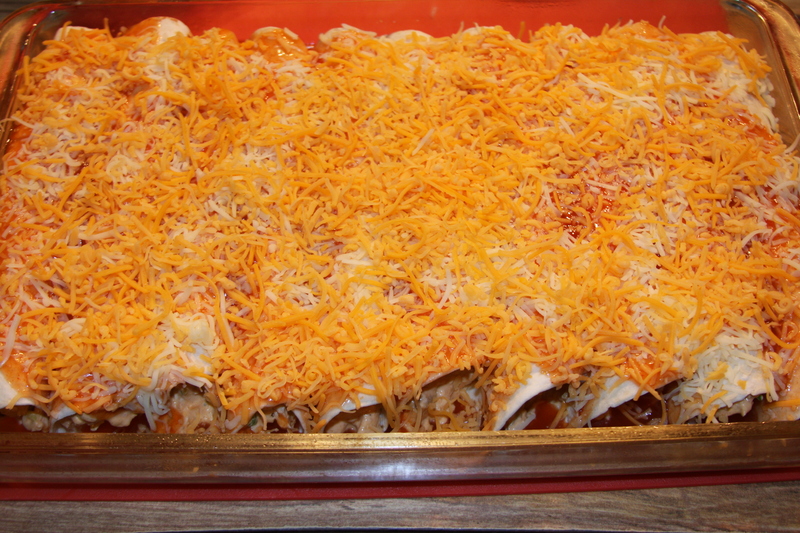 I can’t tell you how many recipes for enchiladas I have tried that we just did not like. Once recipe took me nearly two hours from start to finish. I thought for sure those were going to be the be all end all recipe. When we finally sat down to eat, none of us were really impressed. It was quite disappointing considering how long I had spent in the kitchen. I figured there just had to be a better way. Finally, about two years ago, I decided to just throw together everything I thought that we would like and make my own recipe for these. The cream cheese definitely takes these over the top. If I serve these with a Spanish or Mexican rice I will add corn into them. If I serve them with this Corn Casserole, I leave out the corn inside. I posted about this corn casserole this week and you should definitely try it, it is really delish. I hope that you will enjoy these as much as our family does! ** For the Vegetarian version add the corn and substitute black beans for the chicken. Preheat the oven to 350 degrees. Coat a 9×13 dish with cooking spray. Add about 1-2 tbsp oil or butter to a pan over medium heat. 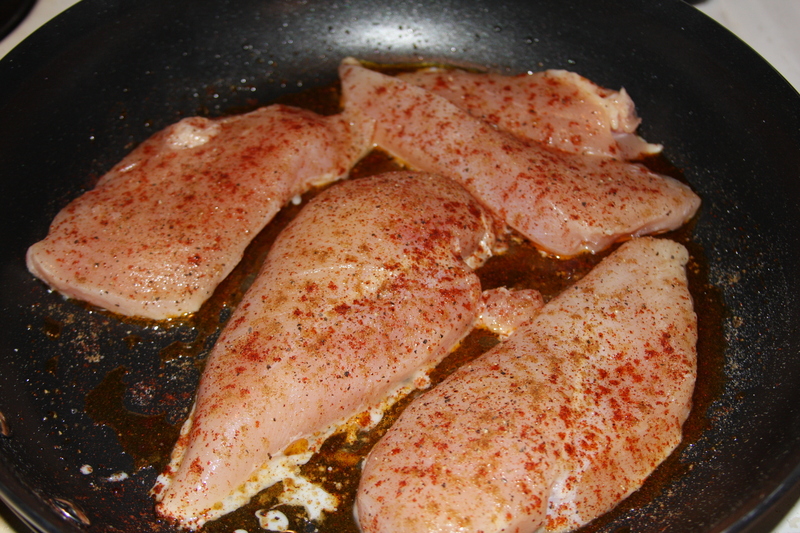 Season your chicken with salt, pepper, chili powder and cumin and add to the pan. Cook for 3-4 minutes per side or until chicken is cooked all the way through and juices run clear. 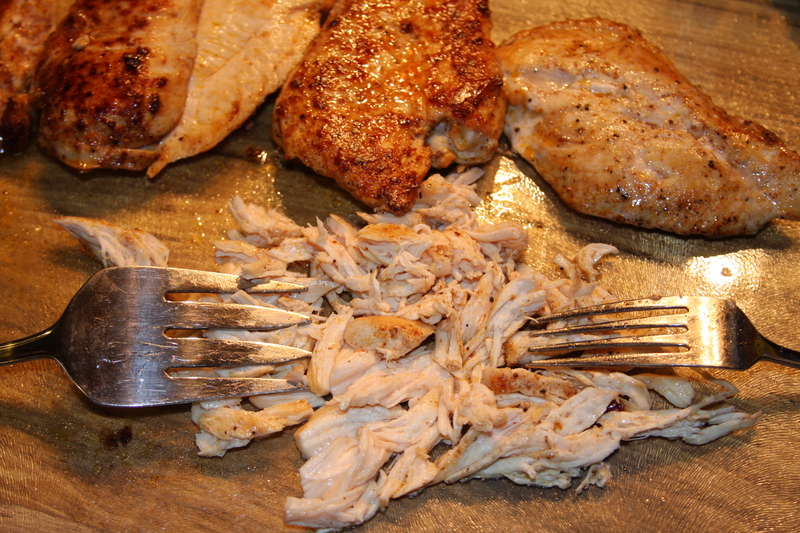 Remove from heat and place on a cutting board. Take two forks and shred the chicken. 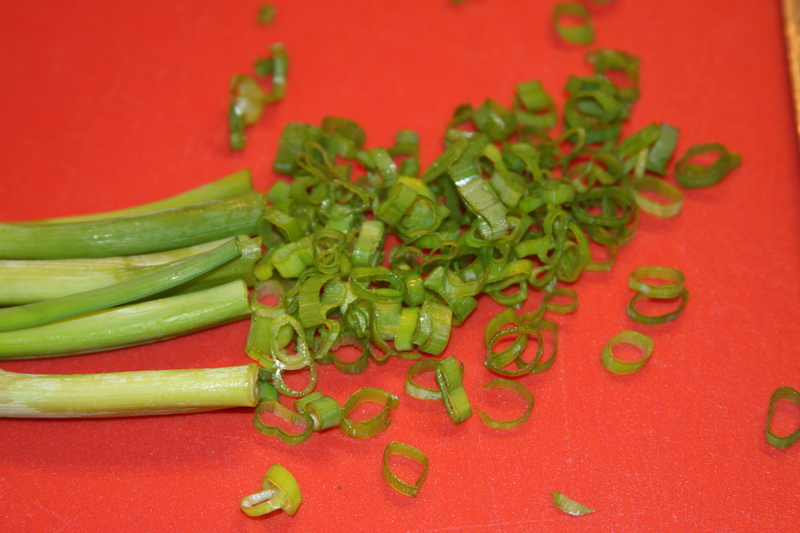 While your chicken is cooking, chop up your green onions. 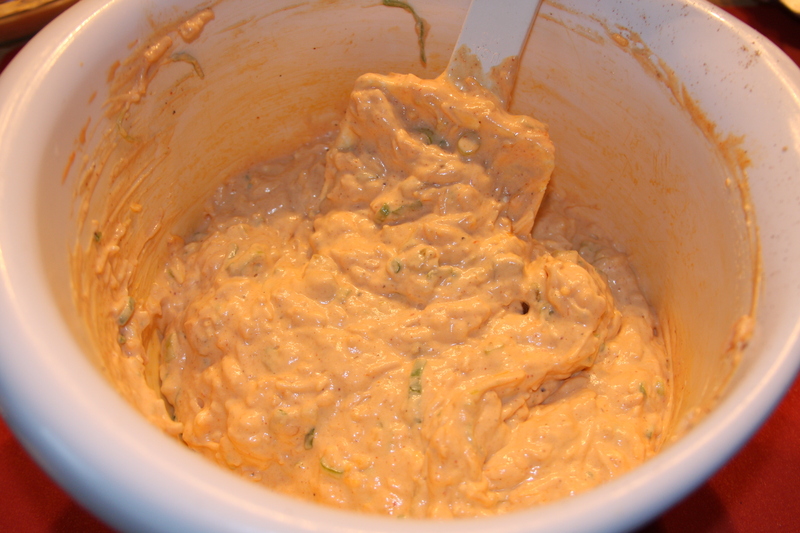 In a large bowl mix together the cream cheese, sour cream, and 1/2 of one can of the enchilada sauce. 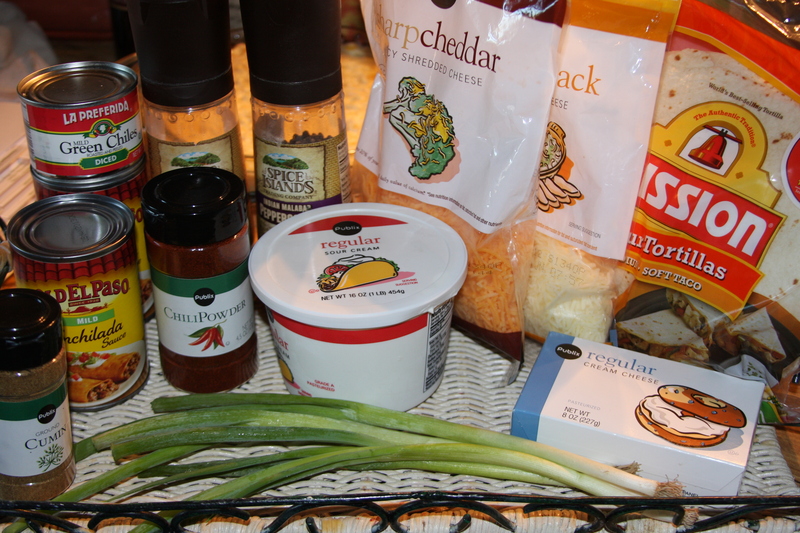 Stir in 1/2 cup of each type of cheese, (corn and black beans if you are using those), cumin, chili powder, salt and pepper, green chiles and half the scallions. When the chicken is cooked and shredded you will add this to the mixture. Stir it up really well so that everything is coated. This is where I usually taste it to make sure that it is seasoned as well as I like it. 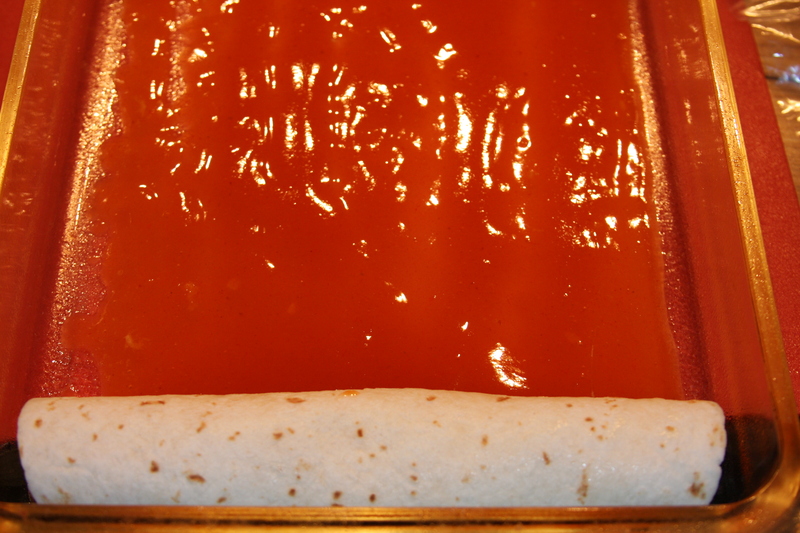 Spread the other half of the first can of enchilada sauce in the bottom of the baking dish. 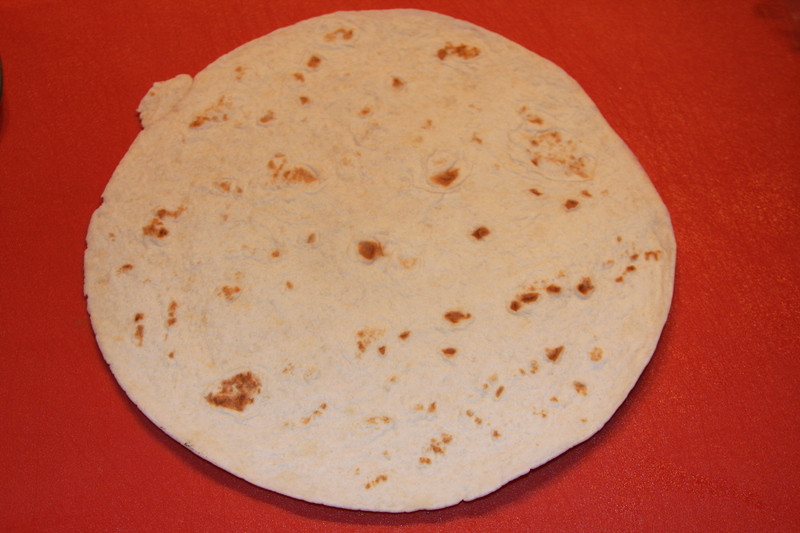 Then lay out your first tortilla flat on your cutting board. Spoon some of the filling into the middle of the tortilla. 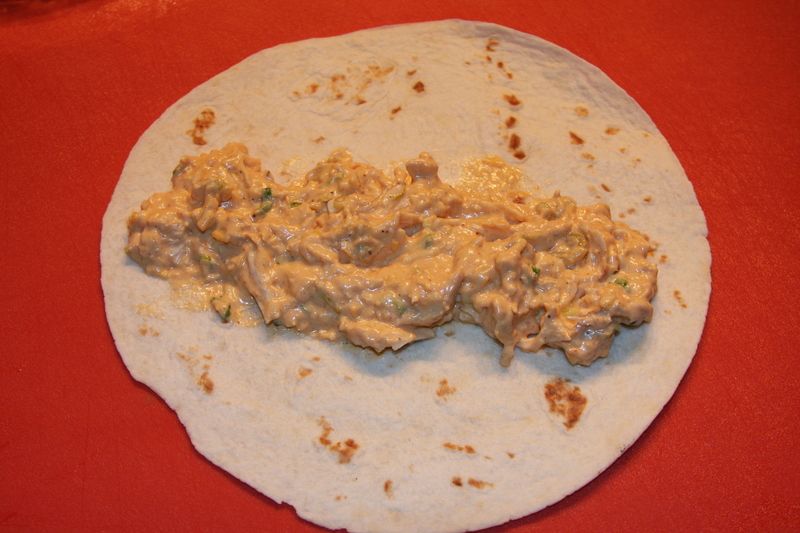 Roll the bottom side of the tortilla up over the filling. 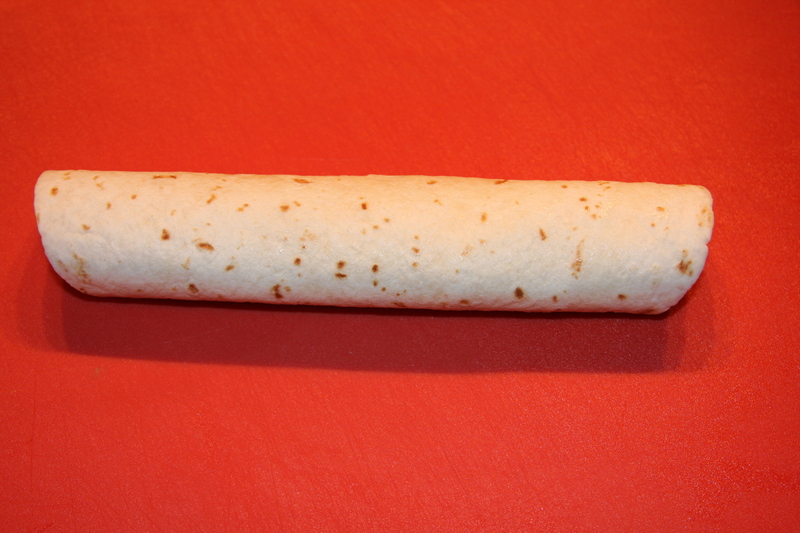 Then roll the whole thing up to the top like this. Take this and place it seam side down in your baking dish. Just keep repeating the whole process until you have all 10 filled and placed in the baking dish. 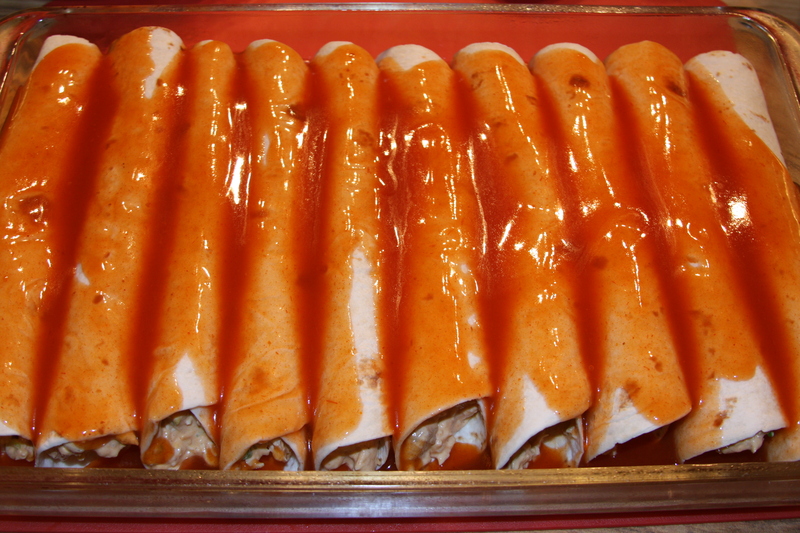 Once your done, pour the remaining can of enchilada sauce over the top of the filled tortillas. Then sprinkle them all with the remaining 1/2 cup of each kind of cheese. Cover the baking dish with aluminum foil and bake for 20-25 minutes or until hot and bubbly. Then remove the aluminum foil and bake for about another 5 minutes until the top of the cheese is completed melted. 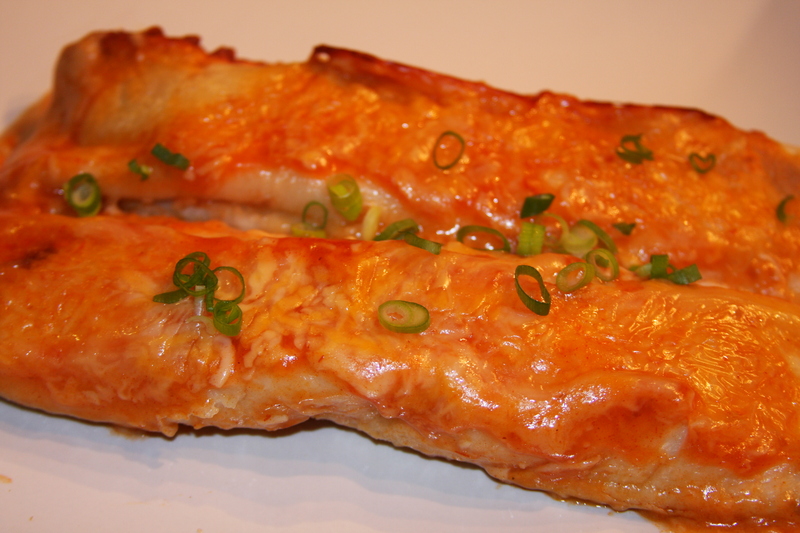 Remove from oven and top with more green onions, sour cream or guacamole. Serve with your favorite side dish. 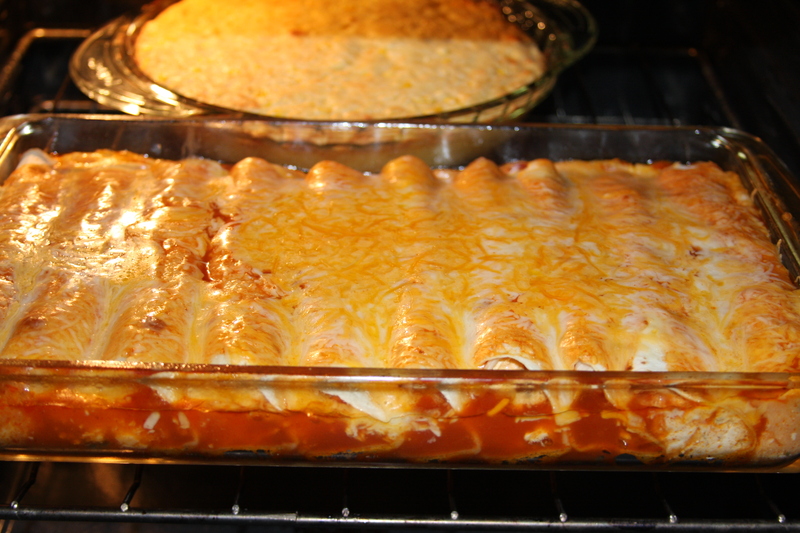 This entry was posted in Cheese, Chicken Dishes, Dinner, Lunch, Mexican Inspired, Recipes, Vegetarian. Bookmark the permalink. Wayne, thank you for your comment and I hope you have enjoyed the blog. I personally don’t use corn tortillas because I have not found any made with non-GMO corn, but that is just a personal preference. Are there easy ways to find and then print your recipes? Print without all the pictures I mean and maybe search by recipe name? Donna, Thank you so much for visiting my site. Unfortunately, I do not have one of those fancy “print recipe” buttons on the site right now. I am planning to set aside some time in the next couple of months to give this site a total upgrade, and add in some more options to make browsing and printing so much easier. I am so sorry that I do not have one for you now, but hope that this won’t deter you from enjoying and maybe even making some of these recipes! if you high light this and then open up windows or just another screen that you will paste in. I use power point because it already has layouts to use. Any way paste and use option that says keep text only. You will have to mess with the size a little but then you should be good to go with no pictures. Thank you, Kim! I didn’t know you could do that! 🙂 I am on the hunt for an expert to hire to help me with the site and plan to have everything up and running by January! 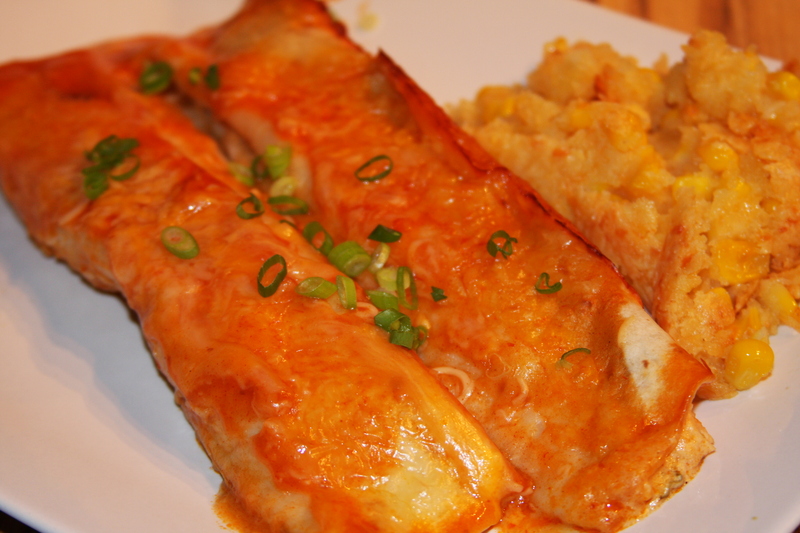 I just made these for dinner – WITH flour tortillas (like to use them over corn) and they were delicious!! 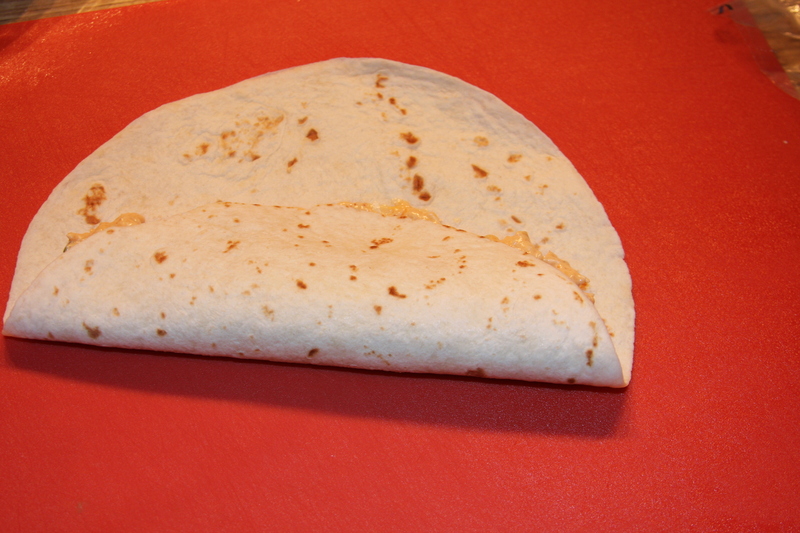 Corn tortillas or too small too hard to roll up and break apart!!!! I am so glad you liked them! This is one of my all time favorite meals, so delicious! These sound delicious……love the flour tortillas more than corn tortillas. Personal preference. Thanks for sharing. Thank you, Mary! My family prefers the flour ones too, especially for something that is going to be baked! So happy you stopped by the blog! Can I use yellow sweet onions in place of the green onions? I forgot to get them while at the store. Sure, Kim! They will be just as good! I do the same thing when I forget to pick things up, which usually happens a lot if my kids are with me! 🙂 Let me know how you like them! These are so good! I haven’t made them in a long time, so I think I will put them on the menu for the coming week. Let me know how you and your family like them. Thank you for stopping in! I made these recently and my entire family LOVED them. But I wonder- is there a way to make them ahead and/or freeze them? Andrea, I am so glad that you guys loved them. This past week I made a green chili version, with salsa verde, that was just as amazing! I hope to have it on the blog soon. I have not made them all the way up and froze them. I have heard too many conflicting reports of them being mushy or dry, etc. What I do is, freeze the filling in freezer bags, then, when I am ready to make them, I just thaw it out and then proceed with the rest of the recipe and bake them. That has worked very well for me, every time. It really doesn’t take that much more work to finish them up. I hope this helps.